Carmen is a Certified Professional Dog Trainer (CPDT) and Associate Certified Applied Animal Behaviorist (ACAAB) with over 16 years of experience in the field. She earned her master’s degree in animal behavior in 2007 — winning the Marion Breland-Bailey award for her research in canine learning — and graduated valedictorian from the San Francisco SPCA Academy for Dog Trainers. She has taught classes since 1999, from puppy kindergarten to advanced obedience and performance sports, and has managed staff and animal training programs at shelters in Washington, Oregon and Illinois. 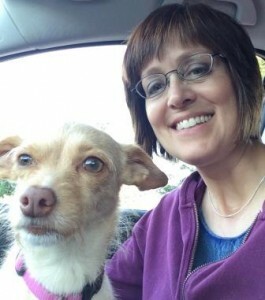 She now owns Way To Behave, providing pet behavior therapy and training services in the Vancouver, WA/Portland, OR area. In her spare time, she competes with her dogs in canine sports and has titled her dogs in competition obedience, rally obedience and canine musical freestyle.